Charlottesville is no stranger to growth, and new housing developments are cropping up all over the city. We were recently contracted by a builder to install helical piers for a new home in eastern Albemarle County on Pantops Mountain. 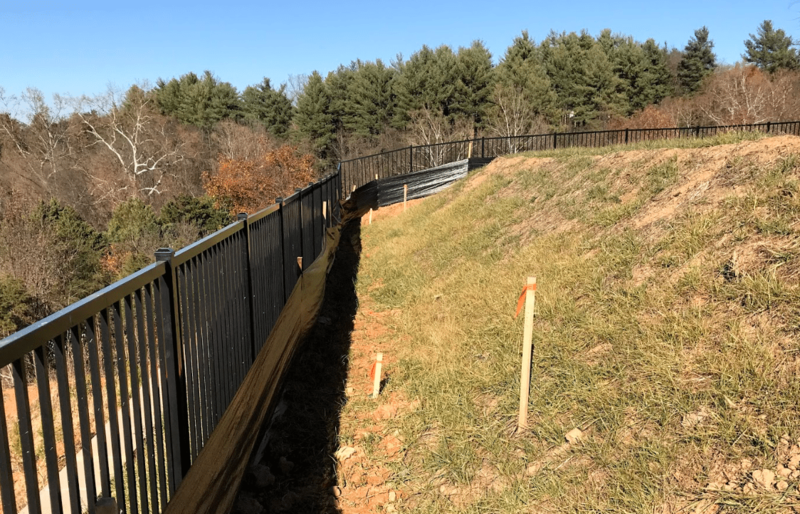 As the AB Chance certified dealer in Central Virginia, we have years of experience installing helical piers in a variety of situations. This area of Charlottesville is very hilly, but is a prime location and a major area of development for homes and businesses. 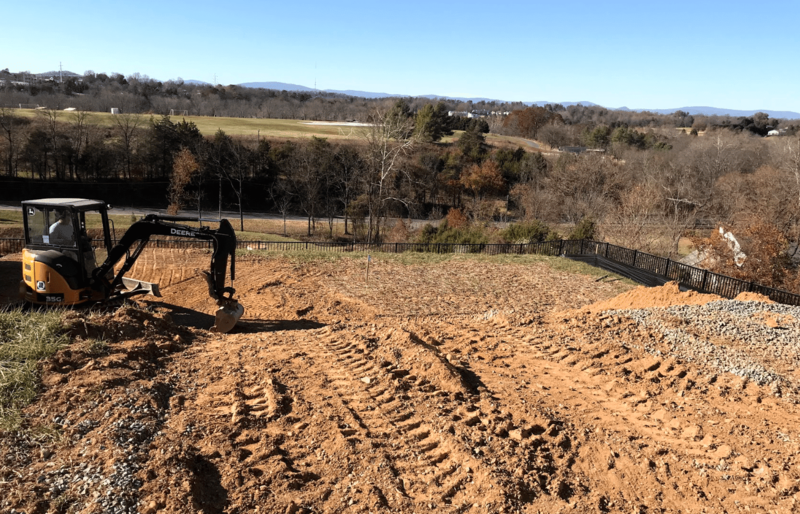 Pantops itself is a relatively small mountain compared to the Rockies or even the Blue Ridge, but for a homebuilder, it could seem like Everest! Building on hilly terrain can be affordable and beautiful, but has its disadvantages as well. Our featured property here has two stacked retaining walls and the lot is mostly fill dirt, used to create a flat building pad for the house. Of particular concern was the deck, which was at risk of settling and being structurally unsafe over time, due to the poor soil quality. We were contracted as the certified helical dealer in this area and installed 5 helical piers at each post location. The deck posts will sit on a concrete footing that’s being supported by the piers. We used a combination of square shaft double helix and round shaft piers. The square shaft digs a little better than the round, but the round has a little bit more rigidity and not as much flex in really loose soils. 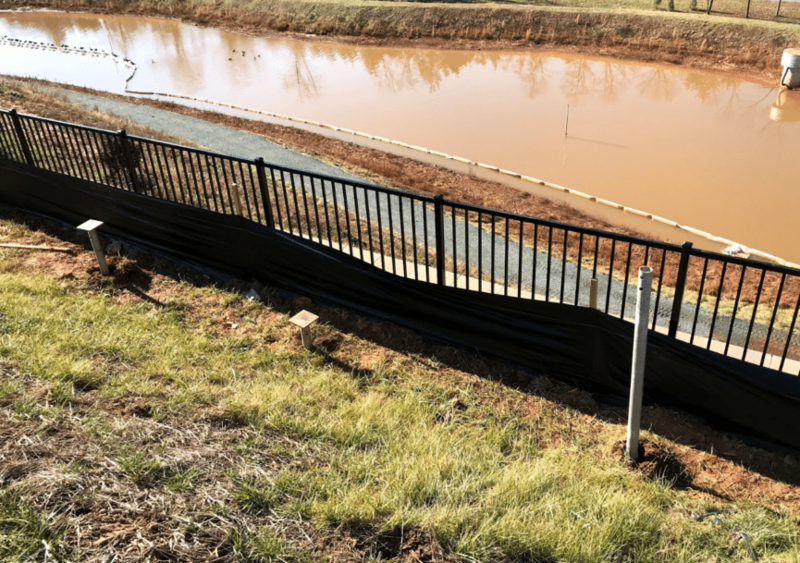 Our expertise, training, and certification all contribute to a job well done on helical jobs; we work with builders and structural engineers on each job to ensure the right combination and installation of helical piers for every application. Make sure you have a contractor who has experience installing helical piers in a variety of situations. Our crews stand behind the AB Chance products and training to provide you with quality and safety for years to come. Contact us today at 434-293-6724 for an estimate!